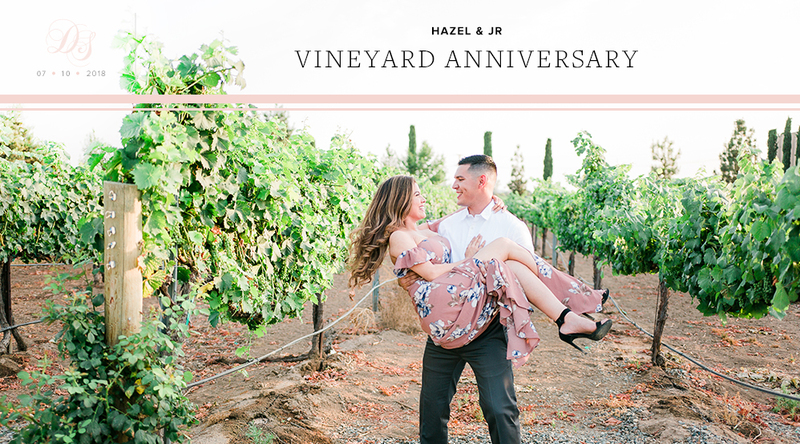 This vineyard anniversary session was nothing less than romantic and dreamy. Hazel & JR reached out to me looking to have photos done for their 1 year wedding anniversary. 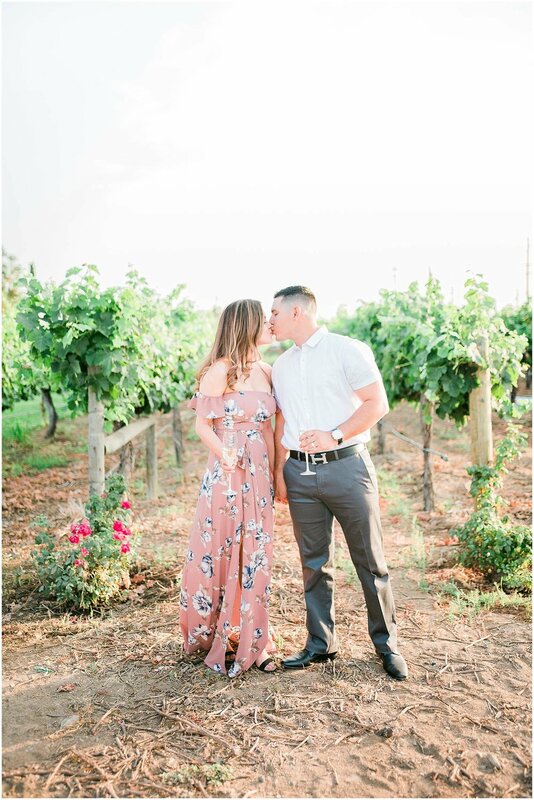 When Hazel mentioned she wanted to do them in Wine Country I knew we were in for an amazing shoot. If you’ve ever been out to the wineries during sunset, you know why I was so excited! Beautiful golden vineyards, big lush vines and of course the big juicy grapes! It is a site for sore eyes this time of the year. 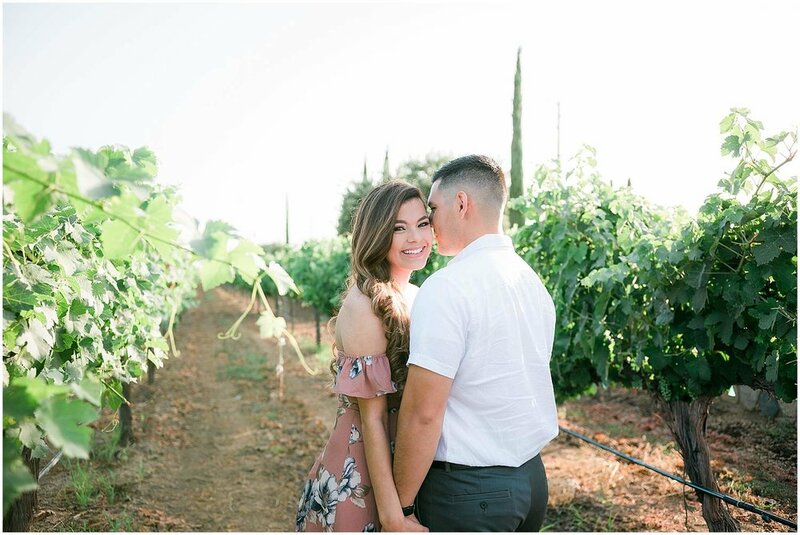 From running through the vineyards, to popping champagne… I am so happy were all able to get together to capture this special anniversary. To me, this is one of the most beautiful places to do so! If you have an upcoming anniversary, just got engaged or simply just want new photos to put up around the house… mention this post and receive $100 off a session! Don’t forget, with all sessions I offer a FREE canvas print! Thank you again for a beautiful evening Hazel & JR! Happy anniversary to the two of you.